The FieldServer Classic BACnet Router offers a complete BACnet Internetworking solution for BACnet/IP, BACnet Ethernet, and BACnet MS/TP networks. The FieldServer BACnet Router offers a complete BACnet Internetworking solution for BACnet/IP, BACnet Ethernet, and BACnet MS/TP networks. 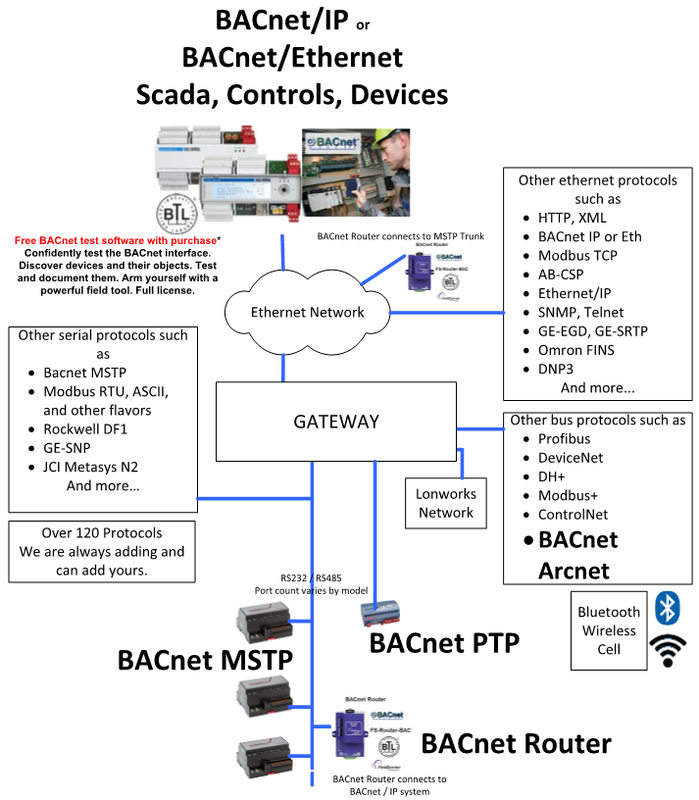 This is the first standalone BACnet Router that has been certified by BTL to ensure the highest standard for BACnet integration. 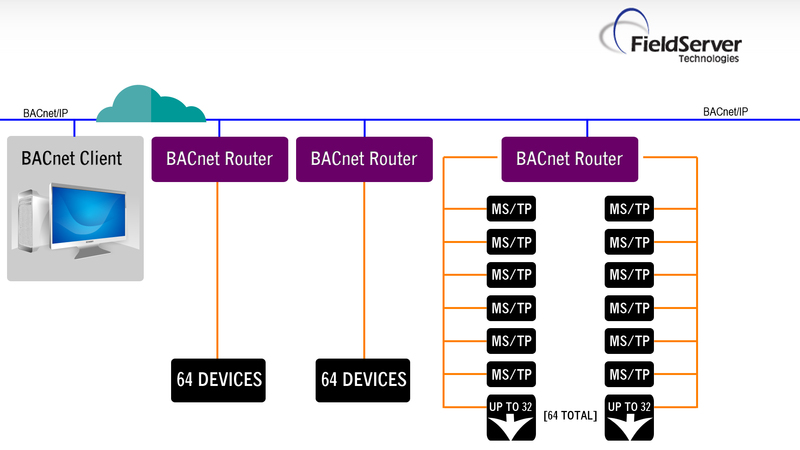 The FS-ROUTER-BAC has two RS-485 ports enabling up to 64 BACnet MS/TP devices to be connected to it without the use of additional line drivers. Relative to a single port router, the dual port router halves device response time by distributing devices over the two RS-485 ports. The FS-ROUTER-BAC1 offers a single RS-485 port and is a cost-effective option for configurations of 32 or fewer BACnet MS/TP devices without the need for additional line drivers. The FieldServer BACnet Router has an easy one page configuration, greatly simplifying the installation process. DeviceFind™, a unique discovery feature, allows the integrator to push a button and discover all the BACnet devices connected to the router, greatly simplifying the commissioning process.